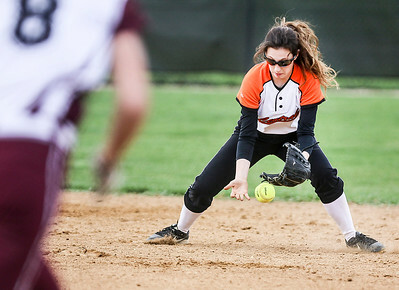 Sarah Nader- snader@shawmedia.com Crystal Lake Central's Kayla Duda fields a ball during the first inning of Thursday's game against Prairie Ridge at Crystal Lake Central High School April 21, 2016. Prairie Ridge defeated Central, 7-0. 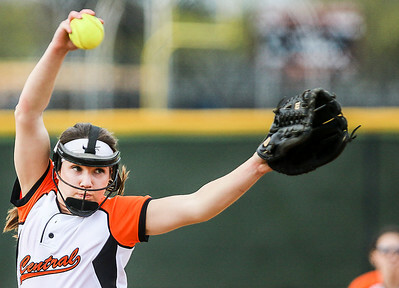 Sarah Nader- snader@shawmedia.com Crystal Lake Central's Amy Walsh pitches during Thursday's game against Prairie Ridge April 21, 2016. Prairie Ridge defeated Central, 7-0. 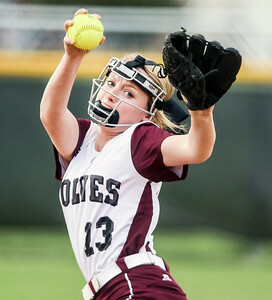 Sarah Nader- snader@shawmedia.com Prairie Ridge's Hailey Baker pitches during the first inning of Thursday's game against Crystal Lake Central April 21, 2016. Prairie Ridge defeated Central, 7-0. 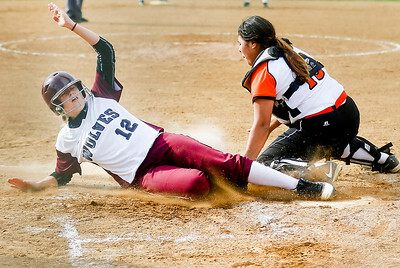 Sarah Nader- snader@shawmedia.com Prairie Ridge's Alexandra Johnson (left) safely slides home while Crystal Lake Central's Alexandria Ramos waits for the ball during the second inning of Thursday's game at Crystal Lake Central High School April 21, 2016. 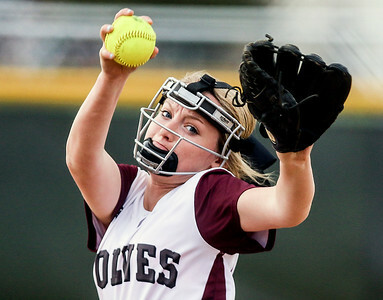 Prairie Ridge defeated Central, 7-0. 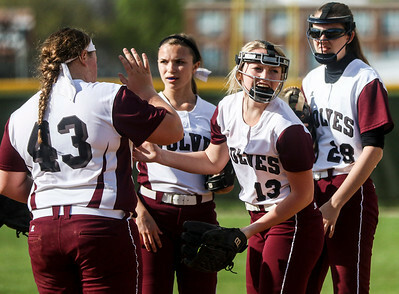 Sarah Nader- snader@shawmedia.com Prairie Ridge's Hailey Baker (center) celebrates a good inning during Thursday's game against Crystal Lake Central April 21, 2016. Prairie Ridge defeated Central, 7-0. 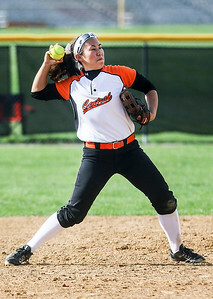 Sarah Nader- snader@shawmedia.com Crystal Lake Central's Kelly Iwamoto throws to first during the second inning of Thursday's game against Prairie Ridge at Crystal Lake Central High School April 21, 2016. Prairie Ridge defeated Central, 7-0. 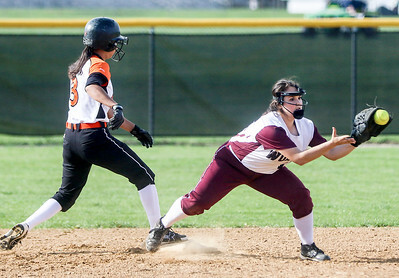 Sarah Nader- snader@shawmedia.com Crystal Lake Central's Alyssa Gawart (left) safely runs backs to second while Prairie Ridge's Kylie Leverenz waits for the ball during the fourth inning of Thursday's game at Crystal Lake Central High School April 21, 2016. Prairie Ridge defeated Central, 7-0. 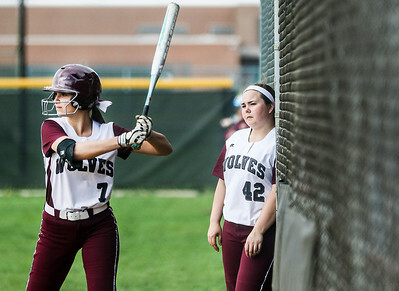 Sarah Nader- snader@shawmedia.com Prairie Ridge's Maddie Schillinger (left) warms up while Kaitlin Leverenz watches on during Thursday's game against Crystal Lake Central High School April 21, 2016. Prairie Ridge defeated Central, 7-0. 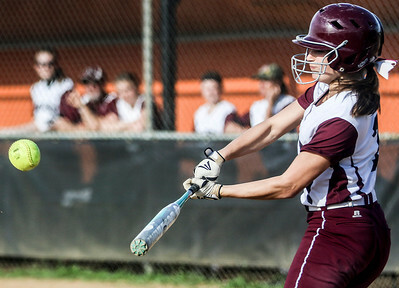 Sarah Nader- snader@shawmedia.com Prairie Ridge's Maddie Schillinger makes contact with the ball during the fifth inning of Thursday's game against Crystal Lake Central High School April 21, 2016. Prairie Ridge defeated Central, 7-0. Prairie Ridge's Hailey Baker (center) celebrates a good inning during Thursday's game against Crystal Lake Central April 21, 2016. Prairie Ridge defeated Central, 7-0.